It's finally finished! This Clapotis was a great project & I'm actually looking forward to the winter to wear it. 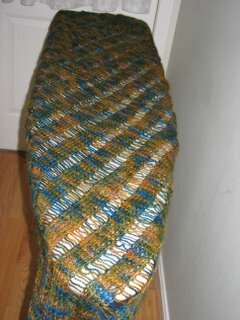 The yarn is SOOOO soft, 55% mohair, 45% wool. I used 8oz./490 yds of color "Texas Scarboug" from here and size 5 needles.